I invented a new cocktail in the time between the wedding and the reception yesterday. The Guy named it M'aider or Mayday as it contains Lillet, an apertif from South-west France, and I was pretty much underwater half-way through sipping it. I'll share it with you but be warned, it could leave you (ship)wrecked. To a cocktail shaker a third filled with ice add 3 measures gin, two of Lillet, one of Noilly Prat. Shake. Take a martini glass. Fill with ice and water so it's really cold, empty. Rub a slice of lemon around the rim. Pour the contents of the shaker into the glass. Top up with tonic water. 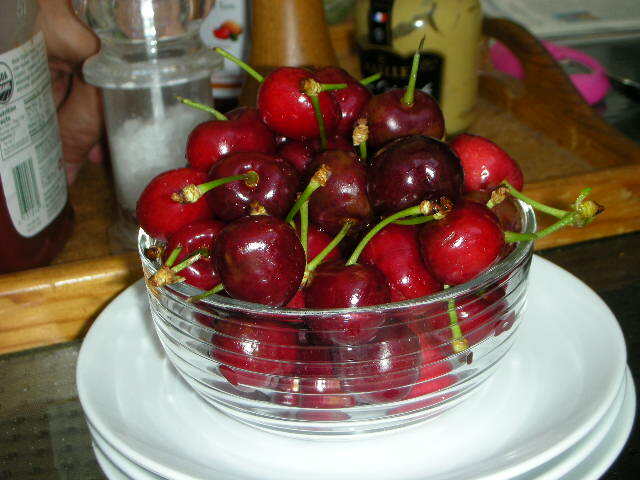 Garnish with the slice of lemon and a cherry. It tastes like summer but packs a wallop so enjoy in moderation! Oh, lovely and delicious. Now I must get some Lillet and next weekend - ah, on the patio.